Eyeglasses are for seeing more clearly, but they can also improve your looks and show your unique style and personality. For an excellent vision, you need an accurate prescription in a well made pair of glasses. The eyeglasses prescription depends totally on the optometrist or ophthalmologist who are the experts in this field, but even so problems may occur. If you have a hard time getting used to new glasses, the prescription may be wrong, or the glasses are not made correctly. Some lenses, such as progressives, will take longer to get used to. If you have not adjusted after a week or two, have your glasses checked for accuracy. If they are correct, then you need to see your eye doctor. 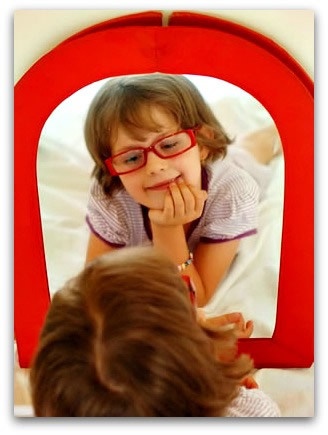 The right glasses can improve your image and complement your face, makeup and hair. The right frame will highlight the features that you like best. Your daily activities will determine if the lens material is glass or plastic; if the frame is rimless or regular; and what kind of coatings to choose. Our goal is to help you pick out new glasses, by understanding your needs and preferences. We provide a simple, jargon-free guide, with articles and visual guides like images and videos, to help you in choosing just the right pair of glasses. So, do you want to find the ones that are perfect for YOU? Are you overwhelmed by the amount of technical information about glasses? What can I do if I'm allergic to nickel? How can I easily adapt to progressive lenses? Can I use my shirt to clean my glasses?